A colored stone and halo engagement ring that centers a natural 1.33 carat Zambian emerald gemstone with a beautiful green hue and saturation. Surrounding the center gemstone is a row of old cut diamonds. 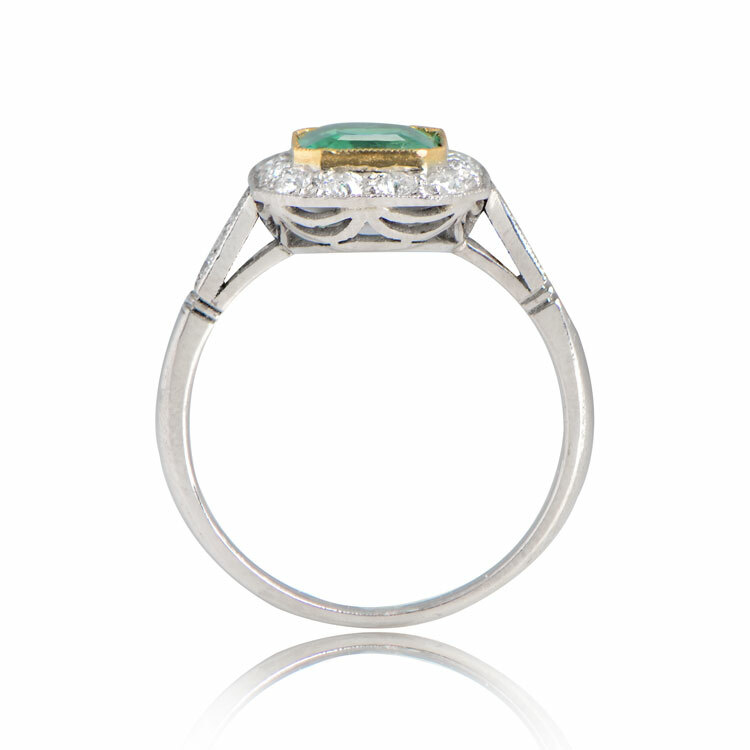 This ring is platinum and features a 18k yellow gold bezel around the center gem-stone. 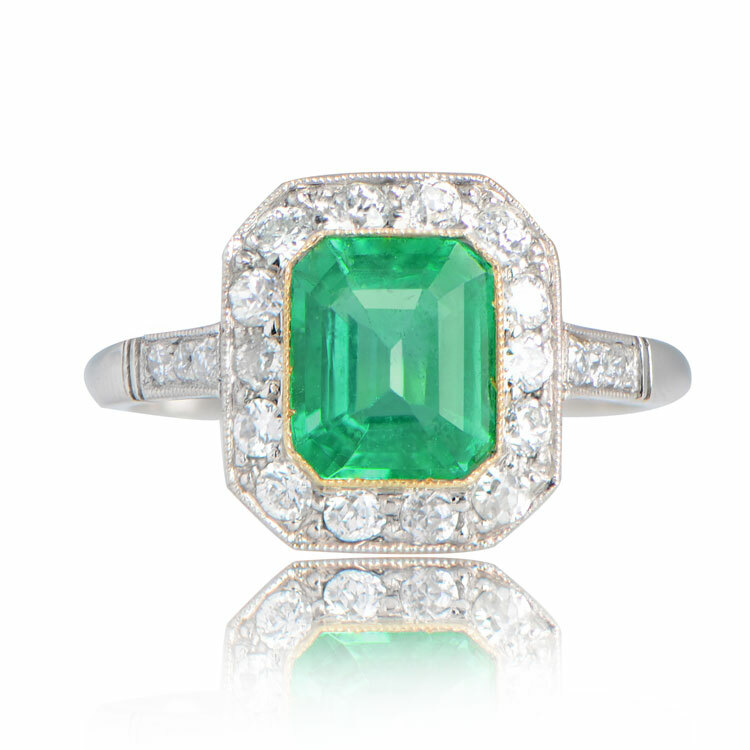 The center emerald gemstone is natural and is completely eye-clean. The measurements of this ring with the diamond halo is 11.50mm x 10.70mm. 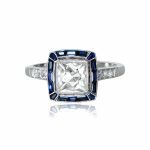 This ring can be resized to any finger size at no extra cost. 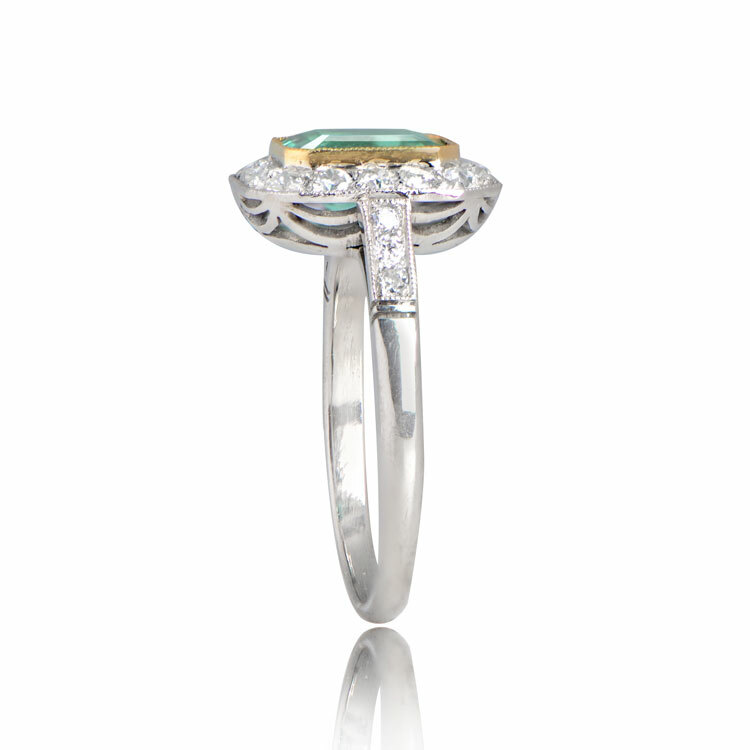 If you have any questions about our Bakewell Ring, please feel free to contact us. 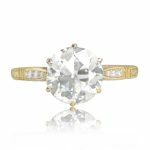 SKU: 12283 Category: Vintage Engagement Rings - Contact us and request additional pictures.